Hylands Park may be famous for the music festival and Chelmsford Spectacular that are held on the 600 acres of land but, as far as we are concerned, the high spot is this terrific Giant Redwood. 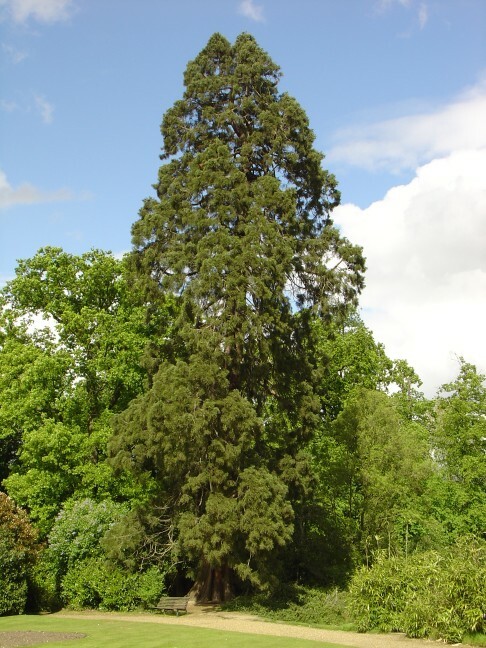 Situated next to the lake, fairly near the house, this Wellingtonia is located in an exceptionally attractive part of the park. This secluded garden is filled with many colourful plants and makes a great place for a picnic. The house is a grade II listed building and was used as a double for the US White House in the 2004 film Chasing Liberty.